My modern, retro, super cozy “Tropical South Pacific” themed 1st floor bungalow is an extension of my personality/lifestyle & I am sharing it with the world! Newly renovated & furnished with vintage “treasure hunted” bamboo/rattan decor. 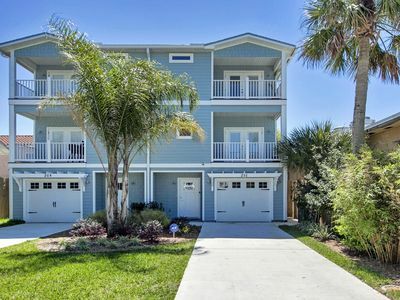 Premium amenities have been provided for an enjoyable & relaxing getaway in Jax Beach! The sand, water & sun are less than 300 steps away & Starbucks is 100 steps, I actually counted! My humble “Home Away From Home” is waiting for your arrival. Aloha & E Como Mai! This two bedroom one bath riverfront suite is just at 1100 ft.². It is a perfect spot for people traveling on business or possible Internships. It would also be a great space for a getaway while visiting family or friends. 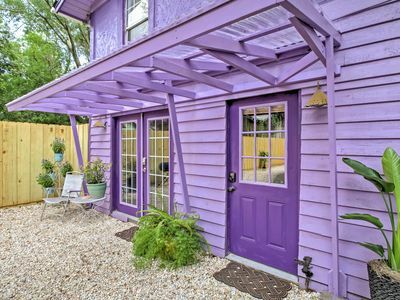 Historic San Marco is a charming neighborhood that has everything you need steps away from your front door. It is one of the hottest spot in Jacksonville. Literally a couple blocks away from the best restaurants, coffee shops, great night life, shopping and much much more! The guest has access to the entire home. We have fully stocked kitchen including all pots, pans and cutlery. Of course additional sets of sheets to switch out when needed, and plenty of towels. We have a great set of front loaders available in the home for laundry needs. Front and back entrances, and also private parking. 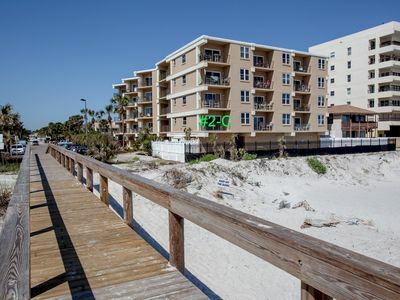 Welcome to our Jacksonville Beach home! This newly built home is 3 houses from the beautiful beach and is the perfect getaway for your family. So come discover laid back beach living at its finest! Our home is a 3 story, 2316 sq foot house that is drenched in sunlight with 2 decks that offer amazing views of the sunrise over the ocean. The second floor has a wide open kitchen/living area with lots of bright sunlight throughout the day. 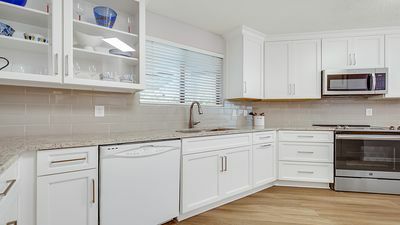 The gourmet kitchen is completely equipped with double ovens, a ceramic cooktop, small appliances, granite counter tops, cookware, dishes, and utensils. 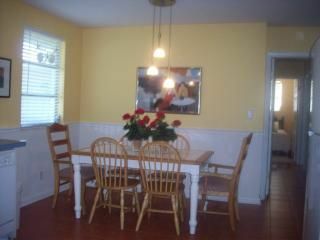 You can enjoy eating at the breakfast bar with its stools or use the big dining table in the dining area. The living area has a large sectional couch for you to enjoy a game at night with the family or to watch your favorite TV shows. You can also choose to listen to music on the decks, in the master bedroom, or in the living area with the surround sound system. Go through 2 sets of french doors off the living room and step out onto the 2nd-floor deck to enjoy the view sitting atop high Adirondack chairs. Bring your coffee out there in the morning while watching the sunrise - it's a great way to start your day! Our home has 3 BRs, each with its own bathroom. The first floor has a bedroom with 2 twin beds and a bathroom with a shower. The 3rd floor has a second bedroom with a queen bed and a bathroom with a tub/shower. There is a Juliet balcony off the queen bedroom that allows you to catch a glimpse of the sunset in the evening. Step into the large master bedroom through double doors and enjoy a good night's rest on a king sized bed with lots of pillows and a memory foam mattress. Two sets of French doors open out onto the deck that has even more amazing views of the ocean than the 2nd-floor balcony! There are two rocking chairs on the deck for you to relax in the warm nighttime breeze before going to sleep. The master bedroom also has its own HDTV. The master bathroom is an oasis in and of itself! With a 'his & hers' sink, a large soaking tub, and a large walk-in shower with a rainfall showerhead, you can pamper yourself after a day at the beach. There's no need to carry all your luggage or groceries up 2-3 flights of stairs, as there is an elevator in the house. We also have a laundry room with top of the line washer/dryer available for your use. Additional amenities include bed linens, beach towels, a Kamado grill, beach chairs, boogie boards, and bikes. The beach has beautiful, soft sand that you can walk on for miles! Get your morning stroll in to start your day :) The ocean often has waves large enough on which you can either boogie board or surf. There are lots of surf shops nearby if you want to rent a board, or you could try paddle boarding. 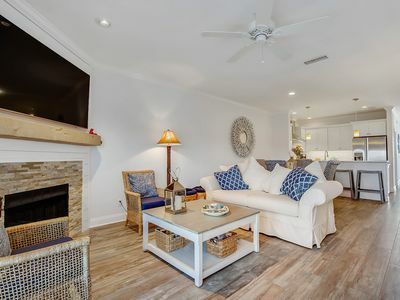 Our home is only about 30 minutes from historic St Augustine, 15 minutes from TPC Sawgrass Golf Course, and sits in the heart of Jax Beach with all its restaurants (many with live music) and shops. 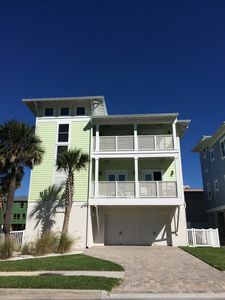 It is also walking distance to several restaurants, including Casa Marina Hotel and Restaurant (they have a great rooftop deck overlooking the ocean for you to enjoy cocktails and food), Mellow Mushroom, and the famous Salt Life Restaurant. Deep sea fishing and casino boats that travel offshore are also available out of Mayport. 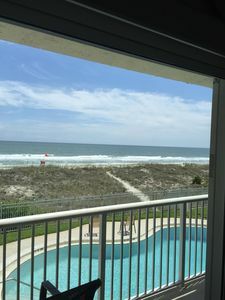 Perfect Jax Beach Getaway! 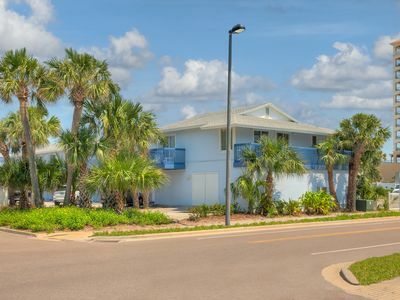 –– Updated oceanfront condo just a short walk to the beach. Relax on your private deck and enjoy the view of the Atlantic. Updated kitchen has granite counter tops and stainless steel appliances. Includes a full size washer and dryer. Master bedroom has its own balcony and bath. The great room includes a large flat screen TV with comfortable seating for all to relax. Why rent a hotel room when you can have your own space overlooking the ocean! Jacksonville Beach has lots to do and was voted one of the best beaches in the south! There is Adventure Landing, which includes a water park, go-kart track, mini golf, laser tag, a roller coaster and an arcade. There are museums, a golf club and a fishing pier. There are weekly events including several music festivals. Stay in the heart of Jax Beach and experience it all! The Little Beach House, come and enjoy! 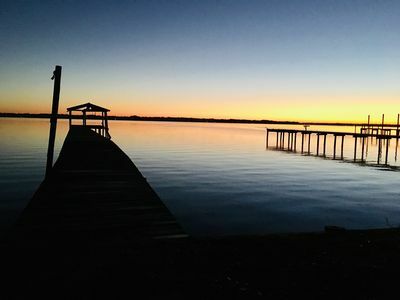 Located between Jacksonville and Fleming Island, our property is situated on the St. Johns River. 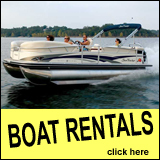 We are nestled in a beautiful, quiet, tree-lined property right past the Doctors Lake Marina. The guesthouse has a comfortable queen-size bed. The kitchenette has two burners, microwave, coffee maker, toaster oven, waffle maker, and refrigerator. You'll wake up to a wonderful view of the water. 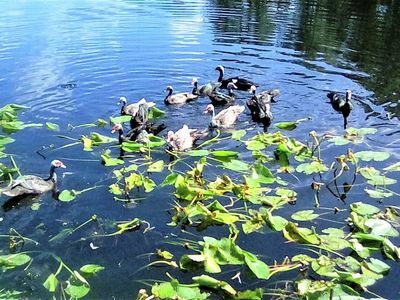 Often you can see manatees, owls, great blue herons, and other wildlife enjoying the water. We offer our guests complimentary water and coffee. We provide plenty of clean bed linens and towels. Please inquire if interested in Laundry Service by appointment for $5.00/ load you supply soap etc, we wash dry and fold- must allow 24 hours for clothing items to be returned. The entire unit has been completely remodeled featuring; European design, contemporary colors, white kitchen with Cambria Quartz counter-tops, dry-bar with wine-cooler, stainless steel Whirlpool appliances, high end Serta perfect sleeper pillowtop mattresses, imported bed linen, towels, goose down comforter etc. Fully stocked kitchen with Keurig, toaster, blender, state of the art cookware, and so much more. UHD 4K TV's in every room, 75 mbit WIFI. Downstairs features a large designer sofa, open kitchen, dining table with 6 chairs, 65" TV, and Master bedroom with a king bed, 65" TV, and on-suite bath. The second floor features two large bedrooms with 55" TV's , one with amazing ocean views, one with a queen bed and the other a daybed featuring two twin mattresses, which is perfect for kids or couples. The bed is equipped with separate blankets and sheets. In addition to the bedrooms, the upstairs has a second living room, with a sleeper sofa and a futon that can sleep up to 4 more people. 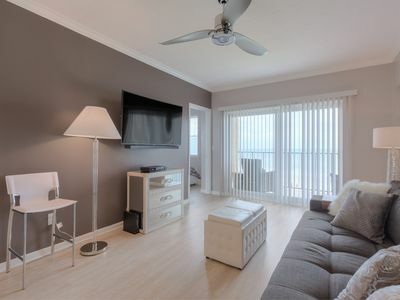 Another 65" TV and two sliding glass doors leading out to some large balconies with great beach views. There is a covered balcony area on the other side of the building which you can access through the rear entry. Two parking spaces per unit in a private lot outside your door. We own the whole building, contact us for larger group or multifamily bookings. Perfect for an unforgettable beach vacation or family reunion. The entire unit has been completely remodeled featuring; European design, contemporary colors, white kitchen cabinets, Cambria Quartz counter-tops, stainless steel Whirlpool appliances, dry-bar with beverage center, high end Serta perfect sleeper pillowtop mattresses, top quality imported bed linen, towels, goose down comforter etc. 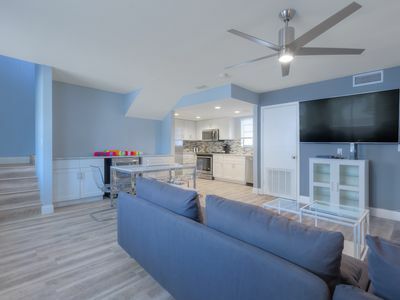 Downstairs has a spacious living room with a large comfortable sofa, 65" TV, open kitchen with dining table (seats 6) and dry-bar with beverage center and a half bath. Upstairs has two bedrooms both with 55" TV's, living area with a futon, a chaise, and an office desk with chair. Private balcony with ocean views on the northside of the building and a outside covered shared balcony on the southside of the building. Fully stocked kitchen with Keurig, toaster, blender, state of the art cookware, and so much more. UHD 4K TV's in every room, 75 Mbit WIFI. Two parking spaces per unit in a private lot outside the door. We own the whole building, so contact us for larger group, or multiple family bookings. Perfect for an unforgettable beach vacation. Adorable marsh view condo just steps to the beach. Marsh view condo just steps from the beach. Master bedroom with king size bed, tv, private bathroom and access to screened patio. Second bedroom with queen size bed and access to covered deck overlooking the BLVD, third bedroom has 2 twin beds. Spacious living room with fireplace, ceiling fan, TV and access to screened patio overlooking pool and marsh. Spacious kitchen with all appliances. Living room/dining room combo with seating for 4 Washer and dryer inside condo. Located on Ponte Vedra Blvd across from The Cabana Club. Just steps from the beach. 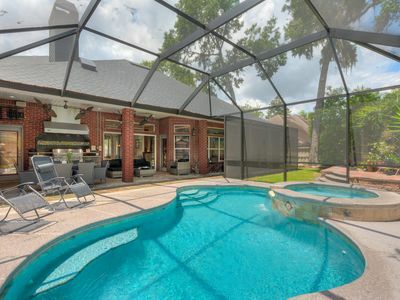 Enjoy the covered deck facing the BLVD or the screened patio overlooking the marsh and pool. Condo association dues include water. YOUR BEACH GET-A-WAY: Directly on the Oceanfront (not on the "side"...we are right ON the oceanfront!) Southeast corner location with lots of natural light. 2 private bedrooms (both with queen beds) Comfortably sleeps four (4+) adults. There is a full-size sofa-bed in the living area. 1 full bath with walk-in shower Nicely furnished and fully equipped for your beach stay. Includes a few beach chairs, some beach toys, & a sun umbrella. One reserved parking space (several guest spaces to share). Internet / WIFI included Smart TV with Comcast Cable plus blu-ray player (and several movies) Whirlpool Duet front-loading washer and dryer. NO SMOKING. ANYWHERE! Not on balcony or on walkway. You must leave the building. $250 FINE STRICTLY ENFORCED! NO PETS. Check-in is 4pm and Check-out is 10am. 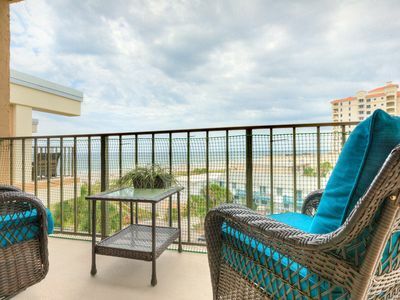 The Sandpiper Condo has an oceanfront pool and an elevator (this condo unit is just steps from the elevator). Convenient to shopping, restaurants, coffee shops, and local beach activities. See local recommendations at Jax Beach Life. The unit has been completely remodeled into a contemporary home away from home. Two bedrooms featuring high end pillowtop mattresses, master bedroom with incredible ocean views The unit is located on the top (5th) floor, end unit, furthest away from the elevator to ensure absolute peace and privacy. You will enjoy the best views possible of the beach, ocean and pool. Modern, European design and colors. Brand new floor, kitchen and bathroom. Updated AC, electrical and plumbing. Brand new SS appliances, custom Cambria Quartz countertops, remote control fans in every room and designer furniture. The unit is fully equipped with bed linens, towels, beach towels, beach chairs, plates, glasses, silverware, cookware, coffee maker, toaster, ice maker, shampoo, conditioner, soap, iron, ironing board and hair dryer. 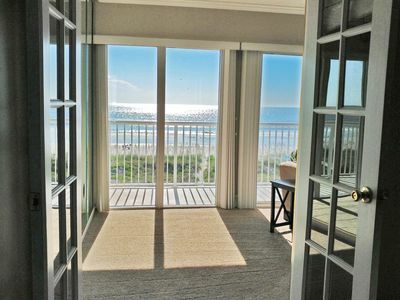 The unit has the best location in the building and an unbeatable view of Jacksonville Beach and the Atlantic Ocean. 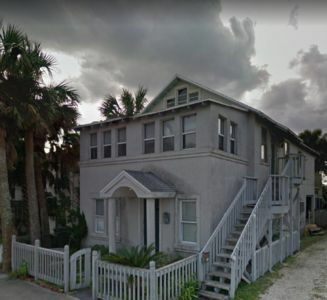 The condo is situated in a very quiet area of Jacksonville Beach, yet within a few blocks of many restaurants and bars where one can enjoy a good meal or the bustling nightlife. There is a walkway from the parking area to the beach, a private pool for the 24 units in the building situated facing the ocean. The condo is within 10-12 minutes away from the Mayo Clinic. One queen and two twin XL beds + design sofa that turns into a queen sleeper in living room. Maximum occupancy 6 people. Washer/Dryer in unit. Private parking, elevator and 10 guest parking spots. Located 15 minutes South from the Jacksonville International Airport in Downtown Jacksonville, FL. Sleeping Arrangements (Sleeps 4) Master Bedroom: Queen Size Bed HDTV w/ Roku Reading Lamp Living Room: Queen Sleeper Sofa HDTV w/ Full Direct TV Package Amenities: Work Space including Desk, Computer, Printer, Paper Shredder Full Kitchen including Keureg, Toaster, Blender, Microwave, Stainless Steel Appliances Backyard BBQ, Smoker, Firepit, Beverage Center and Television Starter Kit including: coffee pods, creamer, bottle water, soda, seasonings, condiments, toiletries Property Distance To: UF Health Proton Therapy Institute - 1.4 miles TIAA Bank - 1.7 miles Baseball Grounds of Jacksonville - 1.7 miles Veterans Memorial Arena - 1.7 miles Daily's Amphitheater - 1.7 miles Wolfson Children's Hospital - 1.9 miles Jacksonville Fair Grounds - 2.4 miles Jacksonville Zoo - 7.4 miles St Johns Town Center - 13 miles Cattyshack Ranch Big Cat Sanctuary - 15 miles Jacksonville Airport - 15 miles Mayo Clinic - 18 miles Jacksonville Beaches - 23 miles TPC Sawgrass - 25 miles Historic St Augustine- 40 miles Non-Smoking Property: The entire interior & exterior of the property is no-smoking. This includes interior common areas, interior apartments, balconies, front porch, back porch, backyard. Join us at Jax Brickhouse! Formerly the Jacobs Apartment Building, it was uninhabited and boarded up for many years when the owners discovered this little gem in a historic area of downtown Jacksonville, FL. After spending 2 1/2 years completing full renovations, the building reopened in May of 2016. This 112 year old building is a little piece of downtown paradise! There are 5 apartments in the building, with three of them available for vacation rental. Each is a fully furnished 1100 sq foot apt, includes stainless steel appliances, washer, dryer, Keurig & toaster. Wood Floors in the living area, tile in the Kitchen/Bath and Carpet in the Master Suite. A 50" HDTV in the living area with Full Direct TV Package. There is a 40" HDTV with Roku in the Master Suite. This apartment also has a great work area with full desk, computer with wireless mouse and keyboard and a scanner/printer. Great for those that still need to do a little work, even while taking time off! There is a Backyard Garden with BBQ, TV & Fire Pit, as well as a variety of home grown herbs like Basil, Rosemary, Lemon Grass & Thai Basil are available to everyone. The building is in the Historic District in the Springfield Neighborhood. A vibrant area that is having a wonderful resurgence - there are a variety of area events - from concerts in the park to the Main Street Classic Car Cruise. It is a walkable area, Uber friendly with Sports, Concerts & Restaurants close by! Very close to UF Health Proton Therapy Institute & Wolfson Children's Hospital. The craft beer scene is also taking off with 3 craft breweries within walking distance, and several more a short ride away. This is definitely a great place to kick back, relax and take in all the city has to offer! Come enjoy your morning coffee on the balcony watching the world go by from a pelican's perspective. Watch the kids play in the pool or build sand castles on the beach. Bring your surf fishing gear for that fresh catch for lunch or dinner. When you tire of that chair by the pool; walk, by way of the beach, to a sports bar to watch the game and enjoy a cold drink. Beach attire is always acceptable... flip-flops required. Or ride on a bicycle, north on the beach past beautiful homes and return by street, stopping at an outdoor restaurant and enjoy people watching. Browse the local unique shops... books, antiques, kites, etc; or shop the fantastic town center or outlet malls. Golf locally at TPC Sawgrass, Marsh Landing, Amelia Island or World Golf Village. Enjoy golf tournament play at Sawgrass or tennis tournament play at Amelia Island. The entire unit has been completely remodeled featuring; European design, contemporary colors, high end materials; including Cambria Quartz counter-tops, stainless steel Whirlpool appliances, high end Serta perfect sleeper pillowtop mattresses, top quality imported bed linen, towels, goose down comforter etc. Fully stocked kitchen with large eat-in island. Keurig, toaster, blender, state of the art cookware, and so much more. UHD 4K TV's in every room, 75 mbit WIFI. Two sliding glass doors open to a huge private patio with stone flooring facing the beach. You can see the ocean over the dunes when standing, but still have privacy when relaxing or dining. There is 6 piece seating, wicker patio furniture group, with Sunbrella cushions that can resist all types of weather conditions. An 11ft umbrella, a stainless steel Weber BBQ, and there's also a gas firepit. Private walkway to the beach over the dunes, or just use the beach access right outside the door. This is a unique property. You will not find any other oceanfront property in Jacksonville Beach, that has this kind of outside space, except our unit next door. Rent both for a larger family reunion, or group vacation. No events allowed unless authorized by the Owner/Manager. The second-floor features two large bedrooms with amazing ocean views, one master with a king size bed, the other room has two queen beds. Downstairs the designer sofa turns into a king-size sleeper with memory gel mattress that is the most comfortable sleeper-sofa you have ever tried. Two parking spaces per unit in a private lot outside your door. We own the whole building, contact us for larger group or multifamily bookings. Perfect for an unforgettable beach vacation or family reunion. 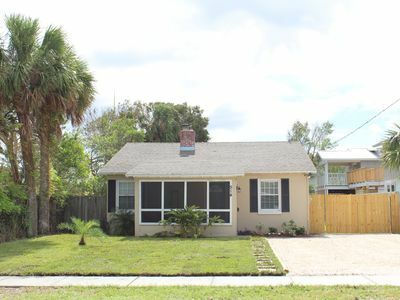 4 br 2ba Home 10 min to the Beach and Mayo Clinic! Grill included! 4 Bedroom 2 Bath home . 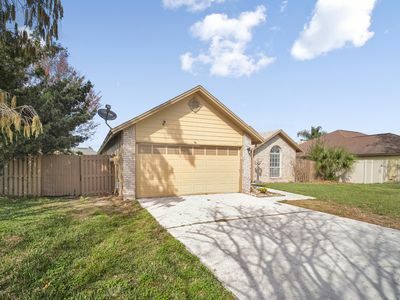 Home is deep in a neighborhood and provides and excellent opportunity to enjoy piece and quiet in a neighborhood 10 minutes from the beach by car. Fully appointed Kitchen to handle all of your cooking needs. Enjoy a day of beach combing or enjoying all that Jacksonville has to offer. A king size bed awaits in the owner s suite, 2 twin beds in one bedroom. Each remaining room has a double bed in another. Home is tastefully remodeled and will offer all of the comforts of home. Enjoy your Home away From Home! Some premium channels and expanded cable available in living room, master bedroom and the room with 2 twin beds. Other bedrooms have tv with local channels only. 2 car garage can comfortably accommodate one car. by Car: 10 minutes to Jacksonville Beach 10 minutes to Mayo Clinic 10 minutes to University of North Florida 15 to 20 Minutes to most venues located down town 15 minutes to Mayport Naval Station 30 Minutes to Nas Jax To Find out how far your location is from the home. Navigate to the lowes on Atlantic Blvd in 32225 zip code. The home is just a half mile east of there in a neighborhood on the northern side of Atlantic Blvd. Home is ideal for traveling families and work crews. Comfy 3/2, recently refurbished, WOW! Hello from Jacksonville. Thank you for viewing our neat as a pin recently refurbished home. 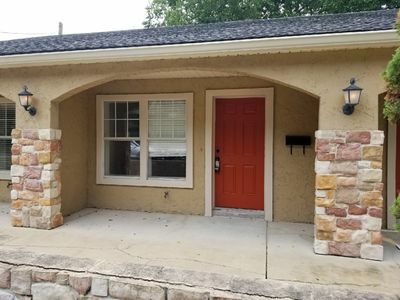 If you are in town for a football game, attending to medical related needs at Baptist MD Anderson Cancer Center, Mayo Clinic, UF Shands Hospital or in town to visit family or here for business purposes, you’ve found a completely private, fully equipped and fully furnished all yours house. There is a lot to do in the river city. Features: all new appliances washer/dryer non-smoking bed linens provided and towels for 5 adults 3 bedroom 2 bath hardwood floors 1450 square feet eat in kitchen, separate dining room high speed wi-fi, Cable, HBO, large flat screen TV fenced back yard (pet friendly with owner permission and extra fee) central location within walking distance to grocery store and more shopping and restaurants covered carport Everbank Field, 6 miles, 15 minutes downtown Jax, 5 miles, 13 - 15 minutes I-95, north and south, 2.6 miles, 6 minutes UNF, 11 miles, 19 minutes Beaches, 18 miles, 24 minutes Baptist Hospital, 4.5 miles, 12 minutes ACCOMMODATIONS: This is a very cozy three bedroom house, recently refinished, hardwood floors, two full baths, one for the master (shower) and one for everyone else (bath tub). Two of the bedrooms include a luxury queen bed, large closet, chest of drawers, ceiling fan, bedside table with lamp. The third bedroom has a double bed. It also has a large closet. Each bedroom contains a ceiling fan. The fully furnished eat in kitchen has a table and two chairs, all new appliances with a large refrigerator, dishwasher and electric stove. The large living room has a sofa and matching love seat with a large flat screen TV with DVD. A separate dining room has a table that seats 6. The dining room has a large window to the private back yard with a door that opens to a completely fenced large back yard. The yard is recently landscaped with a large patio area. Lawn chairs and a gas grill is available for your use. A small room off the patio contains the washer and dryer. With advanced notice and a small fee an air mattress and extra linens can be provided. PREMISES: The covered car port allows for two cars. There is room for a third vehicle in a grassy area next to the car port. Shirl Lane is a narrow residential street thus parking for more than 3 vehicles is very limited. OWNER OPERATED: Owner lives less than two miles away and can be reached at all times by cell phone. CENTRAL LOCATION: The house is on the corner of Shirl Lane and San Jose Blvd., a major north south artery. Shirl Lane is residential. A very small office park with Monday through Friday business hours is directly across the street. CAVEATS: This is a strictly non smoking residence. You are welcome to smoke outside but your courtesy is requested to discard cigarette butts in a proper trash receptacle. If you obtain the owner's permission to bring a pet please please clean behind your pet's use of the backyard for potty needs. You are also asked to crate your dog inside the house. A pet fee applies. This is a top of the line and ultra comfortable executive level home that represents the very best of gracious southern living. 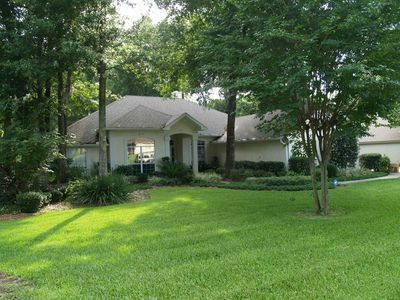 Delightful St. John's River waterfront community with rolling lawns and massive Spanish moss laden water oaks. The best of all worlds! One of the top rated golf courses in Northeast Florida at Hidden Hills Country Club and a Waterfront boater’s paradise community with boat ramp and a boat slip with a 13,000 boat lift! Harbour North is a quiet and peaceful oasis of tranquility; tucked away but yet very accessible to high quality shopping and services! This gorgeous and well maintained custom home has been architect designed inside and out and includes many features and high end upgrades: •	Coquina stucco exterior with attractive entry structure and custom arched windows •	Wonderfully flowing efficient floor plan with separate private Master Suite area •	Custom leaded glass front door with side windows and arch window over •	Upgraded porcelain tile and beautiful Cherry and Pecan hardwood flooring throughout •	Premium granite counter tops and kitchen island •	$6.5k appliance package ALL NEW! Samsung black stainless steel easy to keep looking awesome! Upgraded fridge, stove, oven, microwave oven and whisper quiet dishwasher •	Laundry room with high efficiency washer and dryer, custom built in shelving, utility sink, and masses of extra pantry cabinet storage •	Travertine Marble floors in spacious Master Bathroom with frameless shower, huge garden bathtub and tons of natural light •	Upgraded lighting design throughout – lots of recessed lighting and high end custom light fixtures •	Huge screened Lanai with Saltillo tile flooring and areas for outdoor cooking, outdoor dining and a lounge area. Screen door leads to exterior wood sun deck •	10’ high interior and exterior ceilings, creating elegant and spacious interior volumes •	Oversize Master Suite with high tray ceilings and French door to Lanai •	Elegant dining room with wainscote chair rail and interior archways •	Travertine marble fireplace in Living Room with high end custom millwork surround •	Tile fireplace in Family Room with high end custom arched millwork surround •	High quality deep Crown Molding throughout the house! •	Large 4’x 4’ cupola design Velux insulated skylight with low-e glazing and retractable blind in Family Room with casework surround •	Large custom windows and French doors throughout provide loads of natural light with park like views from every window •	Velux tunnel skylight and upgraded lighting in front facing Bedroom 4/ Office and 3M coating on arched windows •	Professionally designed landscaping with multi-zone sprinkler system (winner of the Harbour North “Yard of the Month”) •	Extra-long driveway with additional parking and double gates to side yard •	Custom designed tree house with spectacular sunset views ? •	Boat Slip and 13,000# Deco Boat Lift •	Great Neighborhood! **NEW LISTING** Lovely Beach House With A Garden ~ Only Two Blocks To The Ocean! Inside is a comfortable, fully furnished living space that can sleep many; main bedroom has a queen size bed, second bedroom has two twin beds. Foyer has a pull-down futon, plus a large couch in living room. Entire space has wifi, living room is equipped with Smart TV and blu-ray, basic standard cable but has capability to stream from your device. Main bedroom also equipped with Smart TV. Brand new kitchen with stove, oven, microwave, ice maker, dishwasher; everything you would need to cook a great meal. Sit around the table in the dining area. Place has a small front yard and larger backyard butterfly garden with screened in porch. Place is pet-friendly, backyard has been fenced-in with small dog containment in mind. Perfect central location, not far from the beach, airport and downtown. Condo is in walking distance to all shops and restaurants of wonderful and famous St. Johns Town Center. Fully furnished condo, amazing pool, excellent fitness center! This is beautiful condo, with 2 leather couches, 2 king size beds, garden tubs in the bathrooms, large walking closets, stainless steel appliances and full size washer and dryer. Stainless steel appliances, 4K UHD TV's, Quartz countertops, tiled bathroom, new flooring throughout and brand new furniture. Master bedroom has queen bed, second bedroom has two twin XL beds, and sofa turns into a queen sleeper with a gel memory foam mattress. All mattresses are high end and very comfortable. The unit is fully stocked with ninja blender, toaster, Keurig coffee maker, plates, glasses, cups, cookware, baking set, mixing bowls, cutting boards, utensils and more. There's a fridge with icemaker, microwave, dishwasher and stove, all brand new Whirlpool, stainless steel appliances, The unit will be fully stocked with towels, linen, beach towels and beach chairs. For any additional equipment, we do work with a local rental company that drops off surf boards, beach bikes, umbrellas etc to your location, and gives all our guests a discount. Amazing location - must see! Enjoy the Florida weather with relaxing days on the beach, by the pool or watching the sunset from the spacious balcony with a glass of wine. Bright and cozy unit, fully equipped unit. Two bedrooms with brand new high quality pillowtop mattresses, queen bed in the master, and two twin XL beds in the second bedroom. Cable TV with over 100 channels and HBO, High Speed (75 Mbit) WiFi, washer and dryer. Since the pictures was taken the unit has been updated with new 60" HD Smart TV in the living room and 50" UHD 4K Smart TV in the master bedroom. In addition, the sofa is updated to a designer, king sleeper sofa with a memory foam mattress that comfortably sleeps 2 adults. The complex has a private pool area with a nice swimming pool and sunbeds. 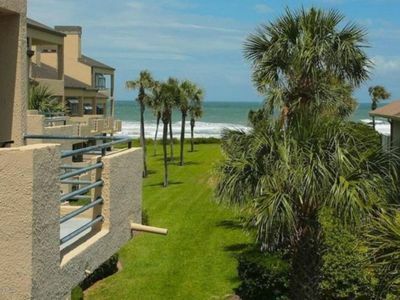 Walkway to the beach (less than 50 feet away), private parking + 10 visitors parking and elevator. The unit will be fully stocked with towels, linen, beach towels and beach chairs, extra equipment available upon request. Early check in and late check out available upon request (schedule allowing) for an additional fee. TPC RENTAL! 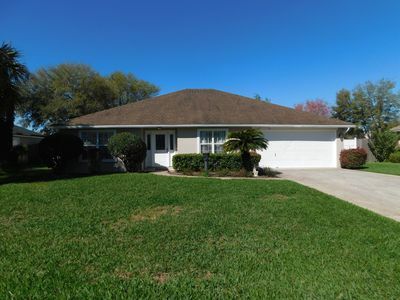 3 bedroom, 2.5 bath pool home for TPC WEEK! 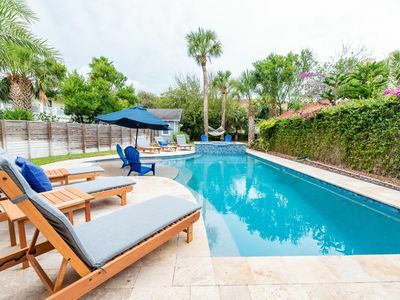 Amazing TPC rental for March 11-18th 2019 ! $4,000 for the week. This coastal inspired beauty has been totally redone and has soaring ceilings with shiplap accents, large screened patio overlooking the pool with privacy galore! This home features a master with a queen bed, one guest room with a full bed and the third bedroom features a twin. The home has all of the comforts you need including an office with wifi-printer, TV in Living Room and a TV in the master. THIS IS FOR TPC WEEK ONLY! OWNERS DO NOT RENT THIS HOME ON A REGULAR BASIS. Just built! 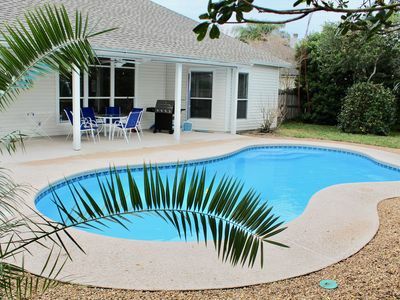 3 bed/3 bath home sleeps 6 with a brand new pool just 5 blocks from the beach and 2 blocks from great restaurants. 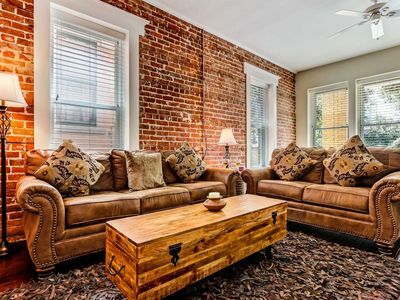 Our other rental property—just a few blocks away has 40+ 5 star reviews across rental websites! Our beach house features a large open plan living/dining space and a great backyard escape with a pool, firepit and lounging area. A 3 bedroom/3 bathroom house is a rare find in the beaches area and is great for couples, business travelers & families looking for the perfect getaway! 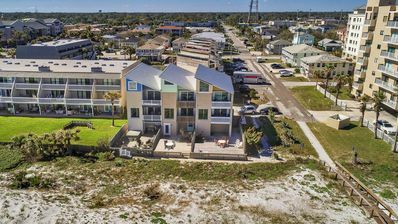 The house is centrally located in Jacksonville Beach and was built in April 2018. The master and 3rd bedroom both have kings size beds and the 2nd bedroom has a queen bed. We have 3 full bathrooms. 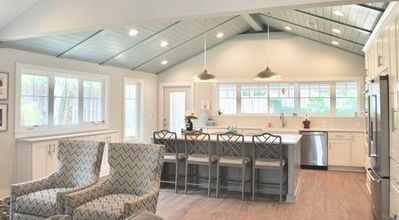 The open plan kitchen, living and dining area has vaulted ceilings and is great for meals, lounging and relaxing. We have basic cable on and smart TV in the living room and Netflix/Hulu capabilities in the master bedroom. We pride ourselves on the cleanliness and comfort of our home. Our kitchen includes all the essentials needed to prepare meals (spices, oils, condiments, dishes, pots, pans, etc.) so you don't need to spend extra money buying the basics! 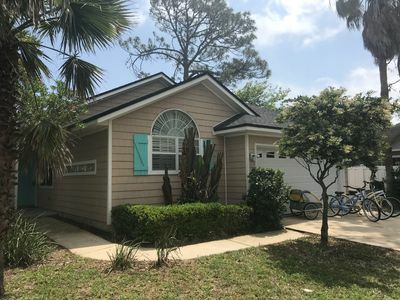 Enjoy the Sunny Florida lifestyle in this charming 3 bedroom beach house in a lovely seaside community in the Jacksonville area surrounded by natural beauty and pristine beaches. Perfect for home buyers and sellers needing a temporary place while looking for a new home or after selling a home. Also for those remodeling, temporary job assignments, medical treatments, or just to get away from the cold and snow or to see if you want to relocate to this wonderful area of Florida. 90 day minimum. This comfortable, light and bright house, nicely furnished, has a living room and additional sitting room. The large, newly updated, eat-in kitchen has a glass-top range with self-cleaning oven, refrigerator, microwave and dishwasher. The Master Bedroom has a King size bed, 2nd Bedrm has a Full bed and the 3rd has two Twin beds. The house, on a corner lot, has a very private fenced yard, with a large wooden deck and BBQ for outside enjoyment and entertaining. The house is fully equipped for cooking, etc. It's just a short walk to the beautiful Atlantic Ocean and to the wonderful restaurants and pubs and quaint and elegant shops. Equipped with high speed internet and cable TV, including sports! 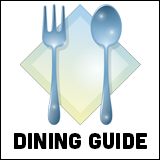 Enjoy, with the beaches locals, their favorite nearby restaurants and shops, including Ragtime Tavern, Sliders, Al's Pizza, Culhanes Irish Pub, Outback, Bonefish, Carrabba's, McDonand's , Pizza Hut and much more. 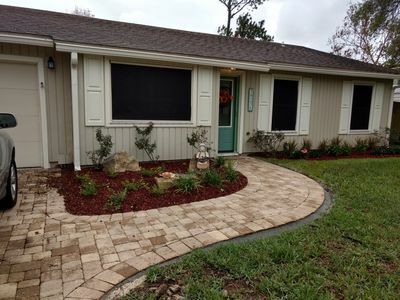 Convenient to Mayo Clinic, UF at Shands Hospital and Proton Center and Mayport Naval Base. Sorry, we cannot rent daily or weekly. Our $100 per day is for 30 days or $3000 per month of 3 months or more. Utilities are included. Thank you. This historic luxury home has been masterfully renovated and beautifully designed to create the ambiance of elegance and romantic charm. Right in the heart of the Urban Core. Walking distance from Springfield's best restaurant, Uptown Kitchen & beautiful parks and recreation. 4 mins away from the downtown theater district & the Landings. Close proximity to all major Jacksonville hotspots, San Marco, Riverside, Stadiums, and of course, the Beaches. Owned/Operated by a traveler for travelers. Near the Mayo clinic. Cozy, cute, fun, warm and comfy! Cozy home located in a quite and safe neighborhood. 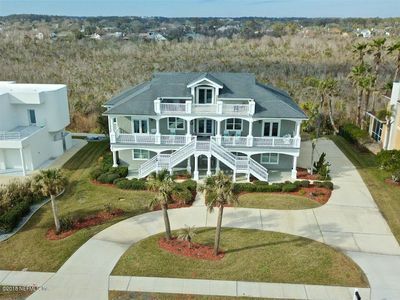 3 1/2 miles from the beach, one mile to the Mayo clinic, 5 miles to the Town Center, 1 1/2 miles to a marina and one mile to a state preserve with access to the intracoastal water ways. Walking distance to a park with tennis courts and playground for children. Adventure Landing waterpark is 2.5 miles away. One mile walking distance to stores and restaurants. Enjoy a cup of coffee in the screened in lanai listening to the koi pond waterfall. Direct Oceanfront (not on the side, not just a view) but DIRECTLY on the Atlantic Ocean. On the 3rd floor in a 4 story gated building (w/Elevator); Just steps to the sand and the beautiful Atlantic Ocean. Not your typical beach condo! All the comforts of home and then some. WHAT AN AMAZING VIEW! Everything is NEW and all furniture and linens are high quality! The bedroom and dining furniture pieces are solid wood antiques refurbished by local artists. THREE (3) HD Smart-TVs with Comcast/Xfinity Cable service, DVR and sound bar. 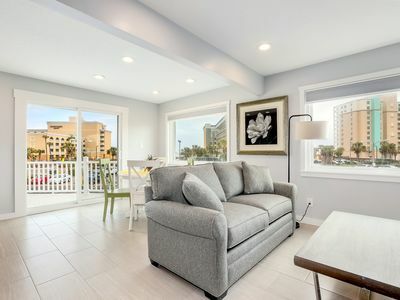 NEW: View the video-tour at Jax Beach Rentals . 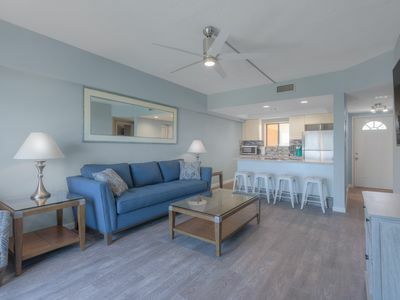 co m Jax Beach has a small-town, laid-back lifestyle - We LOVE the local feel! We love to share our new oceanfront “happy place” with you. Everything is new and updated -- appliances, cabinets, bathrooms, HVAC, kitchen wares, mattresses...EVERYTHING! The pictures don't really do it justice. The owners haven't missed a thing. Check the reviews, you will not be disappointed! "We had so much fun making this place our beach get-away and know you will find it a peaceful place too. We are not over the pool or near the elevator so truly a quiet getaway. (We provide luggage cart and beach wagon to carry all your stuff!) 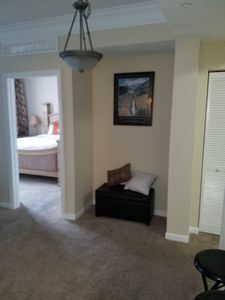 Here are the details: ********************* 2 private bedrooms – master with king bed and 2nd bedroom with queen bed. Both new mattresses and super-comfortable! Comfortably sleeps four (4) people (if necessary, the sofa sleeps a 5th person and linens are provided). Oversized living area could easily accommodate your pack-n-play or your yoga mat! Two (2) full baths – master has a large walk-in shower with rainfall and hand-held shower head. The 2nd bath has a deep tub/shower with handheld shower head. Nicely furnished and fully-equipped for your beach stay. Quality Polywood oceanfront balcony furniture. New linens and towels. All new appliances. New full-size stacking washer and dryer. New kitchen wares with quality cookware, nice dishes, 18/10 flatware, and plenty of plastic to take poolside. Includes beach chairs, a sun umbrella and some beach/pool toys, too. Two (2) reserved parking spaces with one in secure, under-building garage. THREE (3) Samsung HD Smart-TVs with Comcast/Xfinity Cable service *Living room has 65 inch High Definition Smart TV with DVR service plus a blu-ray player and soundbar. *Master bedroom has 58 inch Samsung High Definition Smart TV and DVD player. *2nd bedroom has 28 inch Samsung High Definition Smart TV High-speed Internet / WiFi included. Oceanfront pool with outside shower and restroom. NO SMOKING. ANYWHERE! Not on balcony, near pool, or on walkway. You must leave the building. $250 FINE STRICTLY ENFORCED! NO PETS ALLOWED. Check-in is 4pm and Check-out is 10am. Bring your bathing suit and your toothbrush and come live the beach life! We are thrilled to share our slice of paradise. We know you will enjoy your time here. NOTE: Our friend, Renee Baron (& Real Estate Broker for Jax Beach Condos & JaxBeachRentals . com), manages this Beachdrifter rental. She will be your main point of contact for everything Beachdrifter. Enjoy your stay. 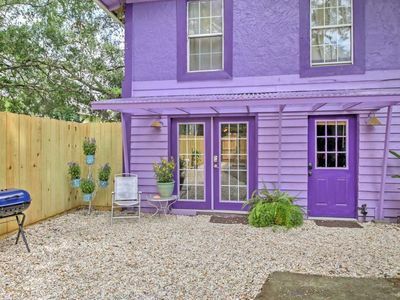 Welcome to one of the upscale neighborhoods of sunny Jacksonville, Florida. Beautifully decorated house, with home office and high speed internet. Two smart TVs where you can watch local channels, YouTube, Netflix. All over the neighborhood there are trails for walking or biking... More information Guest access This residence awaiting for you to enjoy: -	Resort style pool for kids and adults -	Tennis court -	Basketball court -	Soccer field -	Lakes -	Parks -	Lots of lighted trails for walking and biking -	Playgrounds in the pool area and the park Other things to note This residence is minutes away from the white sand Atlantic beaches and Resort Style Pool There is no maid services. The entire unit has been completely remodeled featuring; European design, contemporary colors, high end materials; including Cambria Quartz counter-tops, stainless steel Whirlpool appliances, high end Serta perfect sleeper pillowtop mattresses, top quality imported bed linen, towels, goose down comforter etc. Fully stocked kitchen with Keurig, toaster, blender, state of the art cookware, and so much more. UHD 4K TV's in every room, 75 mbit WIFI. 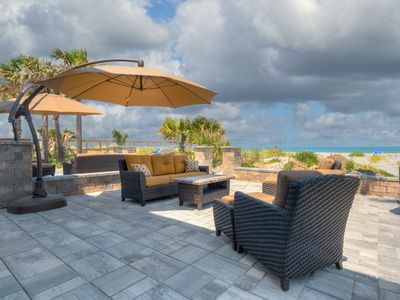 Two sliding glass doors open to a huge private patio with stone flooring facing the beach. You can see the ocean over the dunes when standing, but still have privacy when relaxing or dining. There is 6 piece seating, wicker patio furniture group, with Sunbrella cushions that can resist all types of weather conditions. An 11ft umbrella, a stainless steel Weber BBQ, and there's also a gas firepit. Private walkway to the beach over the dunes, or just use the beach access right outside the door. This is a unique property. You will not find any other oceanfront property in Jacksonville Beach, that has this kind of outside space, except our unit next door. Rent both for a larger family reunion, or group vacation. No events allowed unless authorized by the Owner/Manager. The second-floor features two large bedrooms with amazing ocean views, both with king size beds. Downstairs the designer sofa turns into a king-size sleeper with memory gel mattress that is the most comfortable sleeper-sofa you'll ever sleep on. Two parking spaces per unit in a private parking lot right outside your door. Perfect for an unforgettable beach vacation. Luxurious Island Paradise! - Steps from the beach, shopping and restaurants. 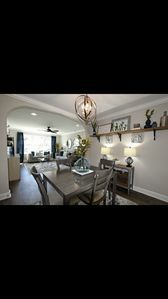 All new construction, wood floors, gourmet kitchen, crown molding, ceiling fans and three full and one half lavish baths. The wide beach is a quick walk over the dunes. You may like it so much at Island Paradise that you don’t want to leave! There is a beautiful private courtyard with comfy chairs just perfect for reading a good book or viewing the stars at night. Beautifully landscaped, the courtyard is a great place for small children to play in a private. You might eat lunch, even dinner or enjoy a glass of your favorite wine in this peaceful spot! Step inside and smooth tiled floors and soft tropical colors greet you. The great room is fabulous, with many windows, a big HDTV and lots of comfortable seating. The kitchen will delight the chefs in your group! There are designer counter tops with lovely accents, new appliances, and well-stocked cupboards. There is a cozy breakfast nook perfect for family meals. There are three bedrooms, all with TV’s, plus a sofa sleeper for two more people. All are inviting and restful, but the master suite is truly exceptional, with a cozy king-sized bed, balcony access, windows everywhere, and a garden tub with walk-in shower! The second bedroom contains a queen bed, and tons of space, while the third bedroom offers two twin beds. All linens, blankets, and pillows are provided for every bed (even the sleeper sofa! ), as are the towel sets for both bathrooms. You'll even find a washer and dryer to keep everything fresh! 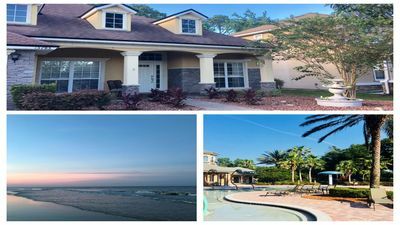 From the moment you pull into the driveway, with its elegant grounds, you'll know you're in for a unique and unforgettably fun Jacksonville Beach vacation. Book your stay at Island Paradise now! Just 10 short blocks to the beach. Our clean and cute 3 bedroom 2 bath home is near shopping, restaurants, golf, playgrounds, and Mayo Clinic. Mayo Clinic is 2.5 miles away. 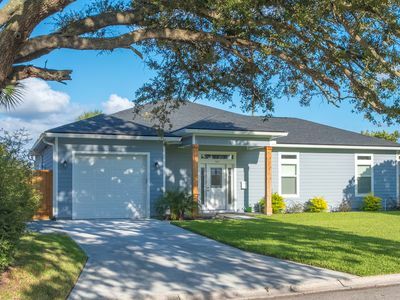 Located in a safe and quiet neighborhood in South Jacksonville Beach, FL one block away from Sunshine Park and it’s free playground and splash park, skate park, tennis courts, basketball courts, and exercise path. New bedding, towels, kitchenware, and carpet make our Beach Bungalow a smart choice. We’ve thoughtfully decorated our former home of 15 years with beach decor in order to make your stay as comfortable as possible. WiFi and cable television is included with 3 televisions on site. 2 Beach Cruiser bicycles also included with extra bicycles available for a fee. Gas grill and patio furniture with umbrella on deck. Single family home in a quiet neighborhood. Close to almost everything you need. 7 miles to the beaches, 11 miles to downtown, Daily's Place and Jaguars Stadium, 5 miles to University of North Florida, 4 Miles to Florida State College, 9 miles to Mayo Clinic and 16 miles to TPA Saw grass, 11 miles to Cruise ship terminal. Plenty of shops and restaurants within 3 miles. Free parking and laundry facilities. Beautiful home on PV Blvd in between Sawgrass Country Club and Corona. Temporary membership to Sawgrass Country Club (site of the original TPC tournament) available upon request. Spectacular views of the beach with access 50 yards south. Soak in the atmosphere along the boulevard from the front porch swings or third floor deck. The main level has 360 degree views of the ocean and guana throughout. The kitchen is spacious, open and full of light. Living room and breakfast area recently remodeled. Master suite on main floor with adjoining deck. 3 bedrooms on ground level. Bunk room comes with 2 new double built-in bunk beds (sleeps 6 comfortably). ***Inquire about FREE weekly passes to the 2019 Players championship at TPC Sawgrass***. You will be greeted with a free bottle of champagne or wine upon your arrival. Located less than 2 blocks from the beach. Furnished from scratch in November of 2018 with brand new everything. Enjoy fresh sheets, pillows and towels. 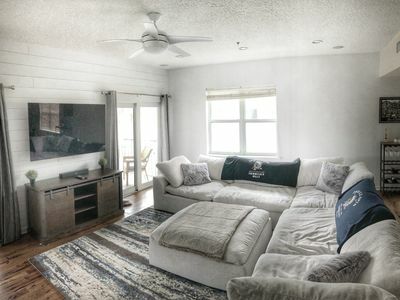 The sectional couch is (135”x135”) and the perfect place to snuggle up after a long day at the beach to watch a movie on the Sony 65” OLED tv with Bose premium sound. 200+ channels with Netflix available at no cost. The TV can be operated with one remote to eliminate any confusion! Unlimited coffee K-cups and Individual creamers for your convenience. The fully stocked kitchen will have everything you need to cook including common condiments and spices. I installed three nest cameras to monitor the property while I travel. One is located above the garage, one is a video doorbell and the other is located inside the garage. There are no cameras inside the house! The house has two nest thermostats, one controls the first two floors while the other controls the three bedrooms on the top floor. I have provided games for all age levels. From cards against humanity, phase10, monopoly to coloring books for the little ones. Beach chairs, footballs, beach towels and other beach necessities will be available for use during your stay. Please message me prior to arrival with any requests and I’ll do my best to have them ready upon arrival! Happy to have baby/toddler essentials ready for your convenience. My goal is for your family to feel safe and comfortable during your vacation. Treat yourself to a vacation at the beach ! 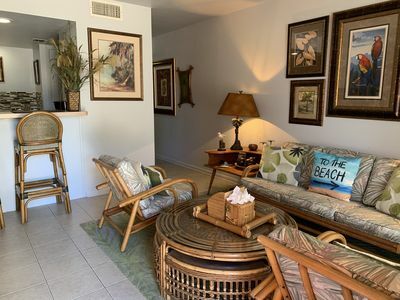 Come stay at our recently renovated condominium ground floor, end unit located within the gated community of Sawgrass Country Club at the Beach Club Villas. Just a short walk to the private beach, which does not have the crowds commonly seen with public beaches! 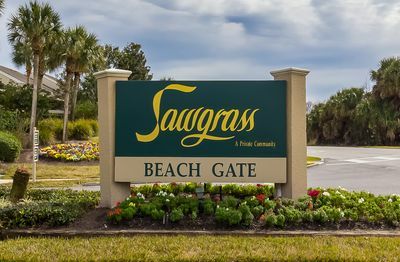 Please note that vacationers do not have access to the amenities offered at Sawgrass Beach Club since it is a members-only private club. Spacious fully stocked and furnished unit that has a standard size washer and dryer and a back patio. Our unit has a Murphy Bed as well as a sleeper sofa, which can accommodate four adults comfortably. Whatever the occasion, we're confident that you'll enjoy your stay! Peaceful serenity is yours at our new beach house as you step out the back door into a tropical paradise. 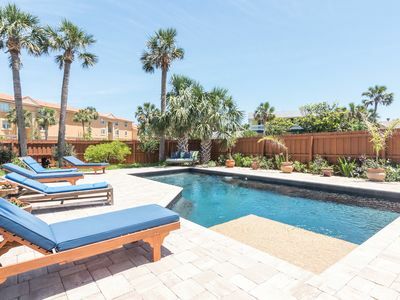 Be the 1st to enjoy this Oasis offering a resort style zero-entry pool, spa, travertine deck w/ plenty of space for outdoor grilling/dining while only steps from the beach! The Master Suite, w/ fireplace, jacuzzi tub, and deck overlooks the pool. The home sleeps 15 comfortably & welcomes large family dinners in the fully equipped chef's kitchen. Step into a world of sun, sea and luxury. LAKE ACCESS room with private bath quiet FAST WiFi central location! Charming bedroom with attached private bathroom in a nicely furnished house. 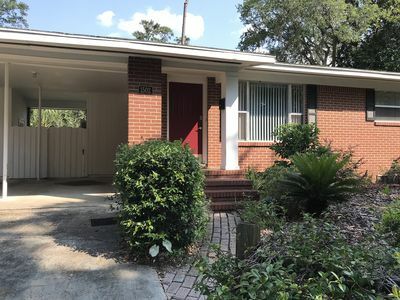 Quiet setting by the lake, yet in the middle of the city minutes to beaches, downtown, St Johns Towncenter, University of Florida, I-95, Mayo Clinic, major shopping and business districts. Views, wildlife watching and fishing in the lake! NOTE: This listing is for a PRIVATE BEDROOM with its own attached PRIVATE BATHROOM inside a house, NOT for entire house. The common areas of the house and backyard are shared. Full access to kitchen and laundry. The house has direct PRIVATE access to the charming quiet lake with fire pit, grill, patio and lounge chairs, where you can relax, suntan, watch the wildlife, or have your meals with great views! The bedroom is comfortable and bright, has its own private bathroom and walk in closet, 2 dressers, full length mirror, small desk, portable laptop table, office chair, iron and ironing board, TV, DVD player. Room has a romantic skylight, you can see the moon and stars from your bed! The bed has a good quality queen size mattress and it is dressed with fine cotton linens. Bathroom has all basic essentials, fresh towels, soap, shampoo, toothpaste, hair dryer. Just bring your clothes!!! There is central heat and air conditioning in the house and ceiling fans in every room. We provide complimentary gourmet tea, coffee, hot chocolate and basic spices and condiments. We are friendly and experienced hosts. We offer good quality comfortable and clean rentals for a budget price and we work hard to keep our guests happy. Guest Access You can cook your favorite meals in the well equipped kitchen (dishwasher, microwave, refrigerator with ice maker, electric tea kettle, coffee maker, blender, toaster, French press, coffee grinder) and on BBQ grill and fire pit in the yard. Access to 2 dining areas, lake area and fenced backyard, private driveway parking. Getting Around Free parking in front of the house. 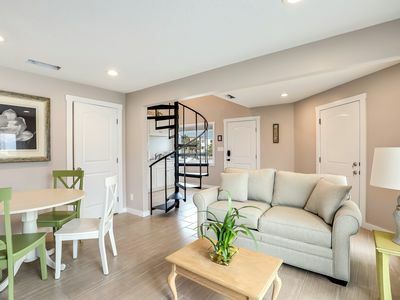 Easy access to major highways, downtown, Jacksonville Beach, Neptune Beach, Atlantic Beach, famous St Johns Town Center, University of Florida, major business districts, shopping and restaurants. There is public transportation short walk from the house and there are easily accessible bike routes. Other Things to Note The TV in the room has FREE Netflix and Prime Amazon. 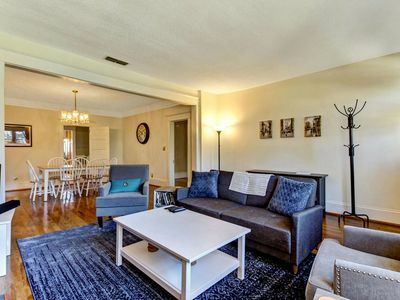 Walkable Historic Avondale Bungalow w/ 3 BR's and Free WIFI! 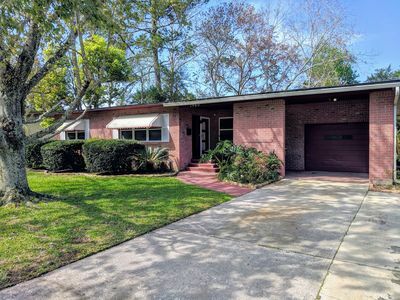 Great Yard - Close to Downtown Jax! Sleeping Arrangements (Sleeps 8) Master Bedroom: Queen Size Bed Bedroom 2: 2 Twin Beds Bedroom 3: 1 Twin Bed Bedroom 4: 2 Twin Beds Living Room: TV & Sound Bar Amenities: Full Kitchen including Keureg, Toaster, Microwave, Stainless Steel Appliances including dishwasher Backyard BBQ, Dining Area and Lounge Area Starter Kit including: coffee pods, creamer, bottle water, soda, seasonings, condiments, toiletries Property Distance To: Groceries: Publix - 1.8 miles The Fresh Market- 3.5 miles The Historic Shoppes of Avondale - 0.7 miles St Vincent’s Medical Center -1.3 miles Memorial Park -1.9 miles Prime Osbourne Convention Center - 3.7 miles Wolfson Children's Hospital - 4.2 miles UF Health Proton Therapy Institute – 5.1 miles Veterans Memorial Arena – 5.2 miles TIAA Bank – 5.5 miles Baseball Grounds of Jacksonville – 5.5 miles Daily's Amphitheater – 5.5 miles Jacksonville Fair Grounds – 5.6 miles Naval Air Station Jacksonville – 6.2 miles Jacksonville Zoo – 10.5 miles St Johns Town Center – 14.7 miles River City Market Place – 14.9 miles Jacksonville Airport - 17 miles Cattyshack Ranch Big Cat Sanctuary – 18.1 miles Jacksonville Beaches – 19.9 miles Mayo Clinic – 20.6 miles TPC Sawgrass – 27.5 miles World Golf Hall of Fame & IMAX – 32.4 miles Amelia Island – 36.4 miles St Augustine Outlet Mall – 36.9 miles Historic Fernandina Beach – 38.9 miles Historic St Augustine - 40.2 miles Great Restaurants: Restaurant Orsay: 0.6 miles South Kitchen & Spirits: 0.7 miles Blue Fish: 0.7 miles The Brick: 0.7 miles Barrique Kitchen & Wine Bar: 0.7 miles Kickback’s Gastropub: 1.2 miles The Stuffed Beaver: 1.2 miles River & Post: 2 miles Non-Smoking Property: The entire interior of the property is no-smoking. Smoking is allowed on the patio & in the backyard. Welcome to Nick's Place in Avondale! In a fabulous historic area with charm & character everywhere, a visit to Nick's Place feels like going home! Built in 1921, this historic home has a fully renovated kitchen, open living & dining area and a great private backyard to hang out and relax or BBQ dinner. Nick's Place is within walking distance to a variety of shops & restaurants; also a quick Uber drive into downtown to attend a variety of Sporting Events or Concerts. It is close to all downtown hospitals as well as the Florida Proton Therapy Center. Also a great location if you're in town for a convention and want a great place for you & your team to relax at. Being a 15 minute drive to Jacksonville International Airport and minutes from both I95 and I10 - Nick's Place is so conveniently located you will not want to pass it up! Family & Pet Friendly, we have provided a variety of things to meet your needs. We have included things from a high chair & stroller to a private desk area if you have to do a little work. Games & books, fully equipped kitchen, and many little extras will make you feel like you're in your home away from home. The outdoor patio area is a great place to relax at the end of your day! Be sure to check it out!